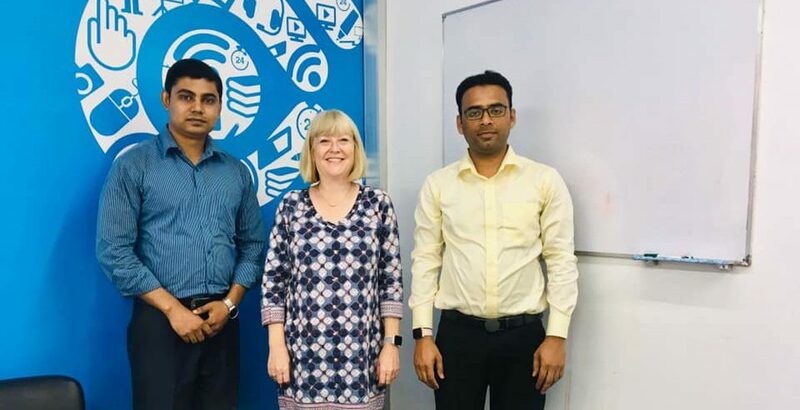 A meeting between The Librarian Times (TLT) team led by the Editor, Prodip Roy and Libraries Unlimited Project team led by the project director Ms Kirsty Crawford was held on 3 April 2019 at the Libraries Unlimited Office, Shahbagh, Dhaka. On behalf of TLT editorial board, Mr Mohammad Joynal Abdin and Mr Prodip Aich attended the meeting. Mr Prodip Roy attended the meeting via ZOOM online. 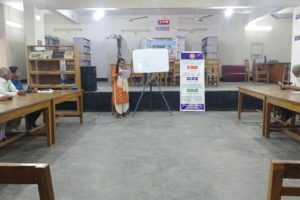 An Inauguration ceremony was held for the Library Automation and Career Development Corner at Bangabandhu Sheikh Mujibur Rahman Agricultural University on 1 April 2019. Prof. Dr Giasuddin Miah, Vice-Chancellor, BSMRAU was present as the Chief Guest in this inauguration session while Prof. Tofail Ahmed, BSMRAU was present as the Special Guest. 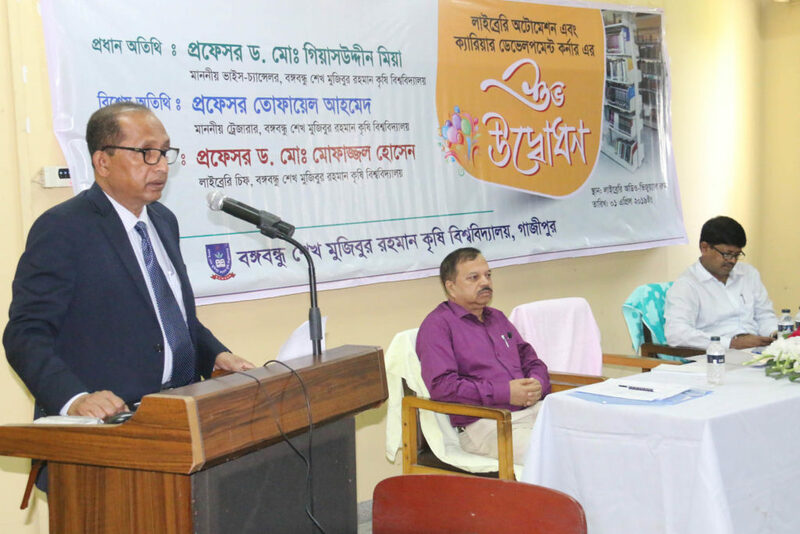 Prof. Dr Mofazzal Hossain, Library Chief, BSMRAU conducted the ceremony. Koha-Integrated Library Management System has been implemented as part of the library automation project. Mr Sheikh Md. 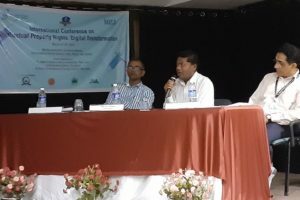 Jalal Uddin, Librarian (In charge) Jatiya Kabi Kazi Nazrul Islam University participated in an International Conference on Intellectual Property Rights: Digital Transformation was held at Goa, India. 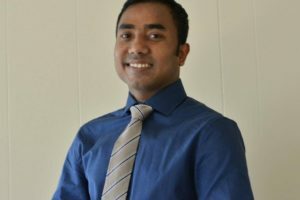 He presented a paper on 27 March 2019. He also conducted a session as the chair of the mentioned conference. The conference was jointly organized by Fr. Angel College of Arts and Commerce, Pilar, Goa, JK Business School, Gurugram, and SDPA, New Delhi. Keeping up a conversation in a second language can be tough for non-English speaking people. Not knowing what to say next can lead to awkward silences, which isn’t fun for the person you are speaking to. From this feeling, Mr. Masud Rana, librarian, district public library, Chapai Nawabganj initiated the program “English Chat”. A prescheduled English chat was arranged on March 27, 2019. There were 17 participants attended the program. The Chittagong University’s (CU) central library has started its automation project recently. The first phase of the project is successfully completed. 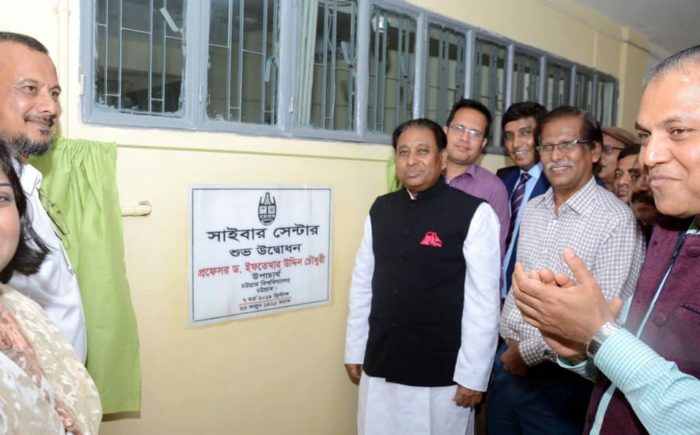 As part of the project, a cyber centre was inaugurated by Vice-Chancellor, Professor Dr Iftekhar Uddin Chowdhury on campus on March 7, 2019. Ms Dil Rukhsana Basunia, Deputy Librarian of the university shared this information to TLT. She also shared that after joining at CU within 3 months she started the automation project. We will gradually complete the 2nd and 3rd phases of the projects and the whole library functions will be fully automated– said Ms Basunia. 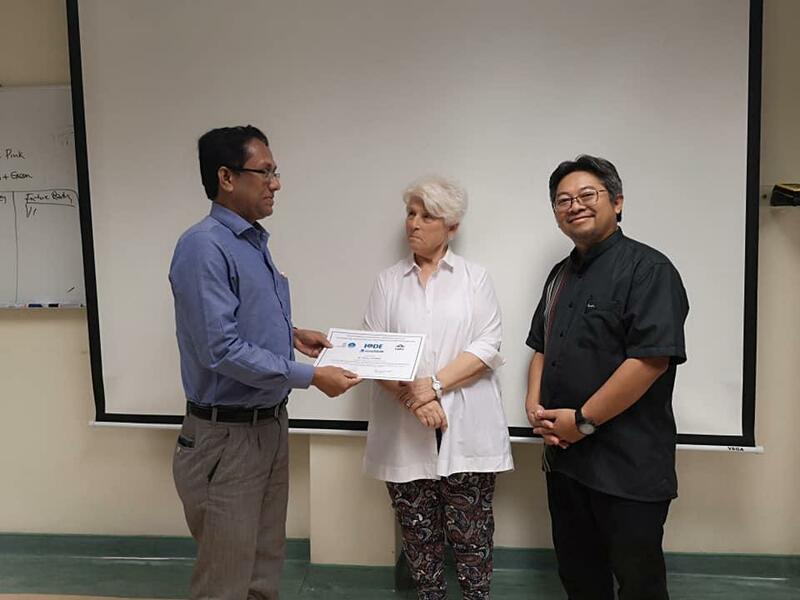 A five-day-long training program on Digital repositories: the pathway from open access to digital asset management was held on 23 – 27 September 2018, at Ocean Teacher Global Academy regional training Centre, UTM, Malaysia. 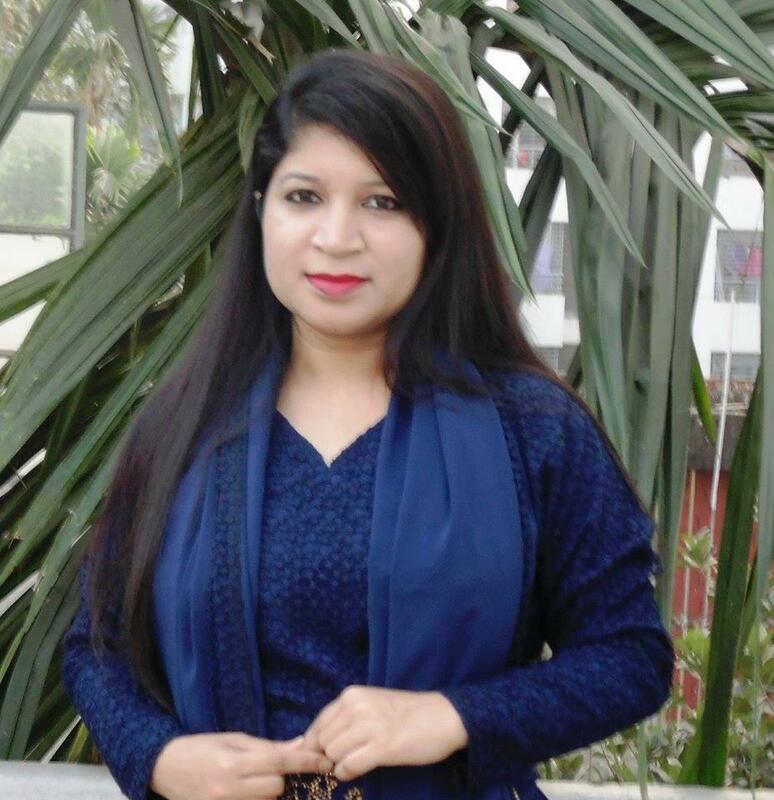 Ms Tanjia Sharmin has been promoted to Librarian at Asian University for Women (AUW), Chittagong effected from 1 October 2018. Ms Tanjia completed her Bachelors and Master’s degree in Information Science and Library Management at the University of Dhaka with an excellent academic result. 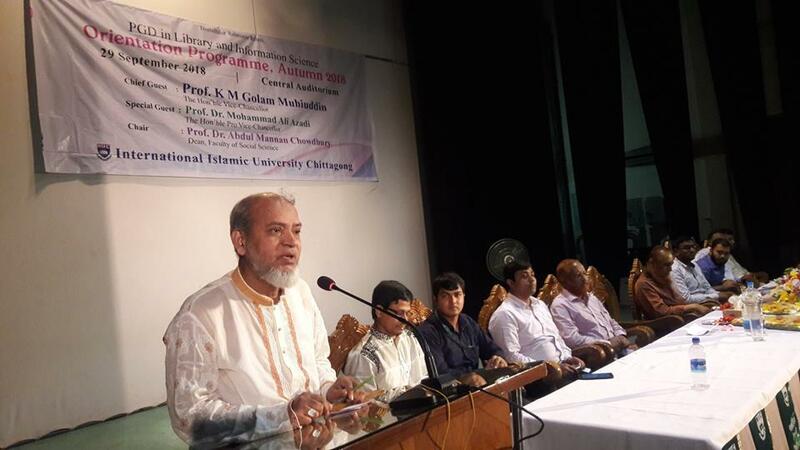 International Islamic University Chittagong (IIUC) orientation program of postgraduate diploma course in Library and Information Science was held on 29 September 2018 of its central auditorium, Chittagong. Mukta and Ahasan 29 September 2018. Mr Sheikh Md. Jalal Uddin and Dr Azizur Rahman have been promoted to Additional Librarian at Jatiya Kabi Kazi Nazrul Islam University effective from 25 September 2018.